U.S. Immigration and Customs Enforcement (ICE) officers arrested hundreds of undocumented immigrants in at least six states this week in a surge of what federal officials labeled “routine enforcement actions.” The raids targeted illegal immigrants known to have criminal records beyond their immigration status, though some immigrants without a history of crime were arrested as well. In the latter category was Guadalupe Garcia de Rayos, an Arizona woman arrested Wednesday whose case has attracted considerable attention because she was illegally brought to the United States as a young child and now has a husband and two children who are all U.S. citizens. 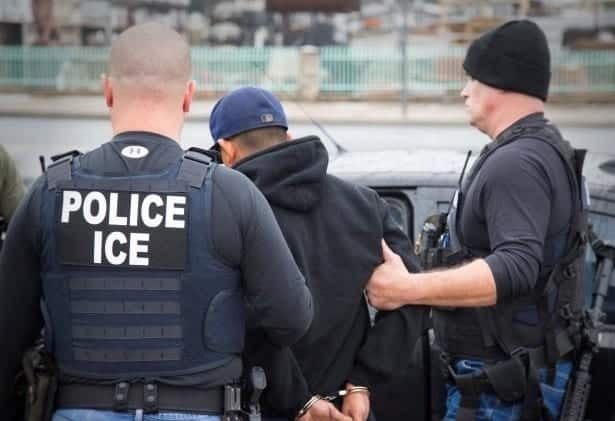 President Trump has promised to deport up to 3 million undocumented immigrants with a criminal background, after which he will consider deporting up to 9 million more without criminal records. President Obama deported 2.5 million people from 2009 to 2015, the largest deportation tally of any president in history and a larger figure than all 20th century deportations combined. This entry was posted on February 11th 2017 at 10:30am/10:30 and is filed under Elections, Live News Column 1, Politics. You can follow any responses to this entry through the RSS 2.0 feed.